I think the idea of application deployments is to monitor versions of applications deployed. I don’t understand how to make this happen. 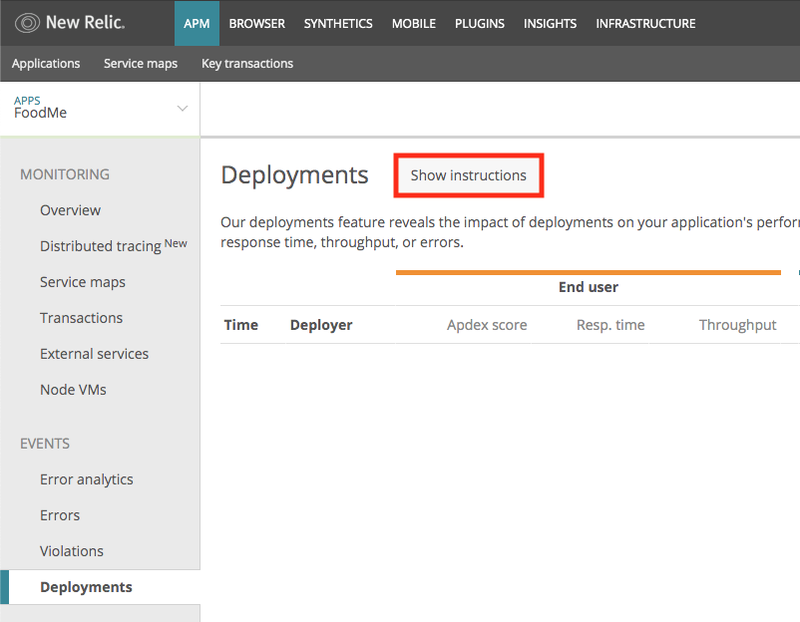 How do I individually identify my application deployments? I am currently have several domains that I am monitoring, but how to do I get the individual applications to report to New Relic? Say on domain www.domain1.com I have my online store store_v2.3, how do I get store_v2.3 to report to New Relic? Essentially, you post to a REST API endpoint when you deploy your application, providing information such as name of deployer, version or revision number, change log, etc. To clarify, deployments do not associate version numbers with applications; they simply add an event at a point in time, to allow you to compare application performance before and after the deployment. If you want to add a version number to your applications, you must add a custom attribute.